Among the newest additions to the Rais collection, the Viva L Gas Series stoves embody the elegance and beauty that Rais is known for. 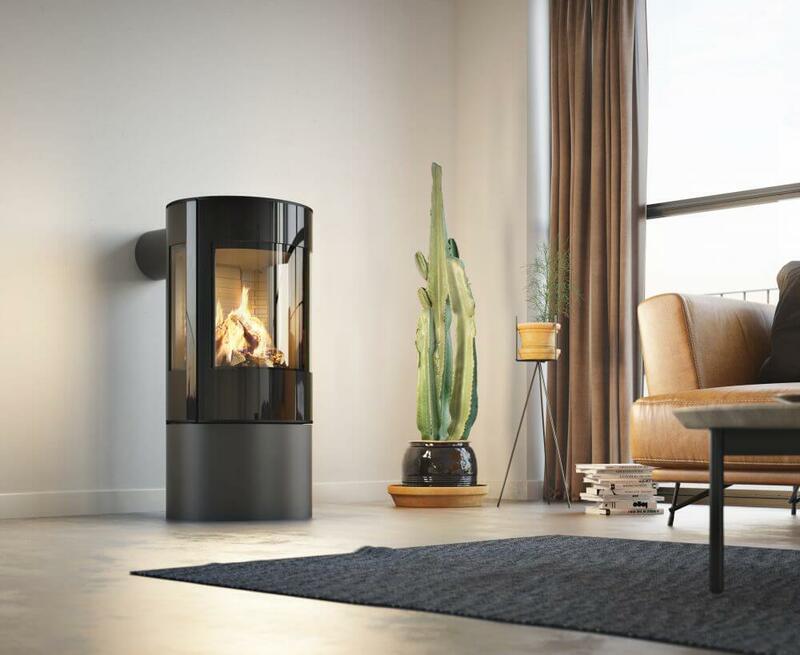 This, in combination with the stove’s efficiency, and optional glass side panels for panoramic viewing, make this stove a work of art. The RAIS Viva L 100 & 120 GAS stove series is iconically round, streamlined, and offers the beauty of Scandinavian simplicity. Unrivaled, beautiful flames with a wide viewing area. Optional side glass available to extend the view. Choose colors between black, and platinum or nickel to match your decor. Truly convenient by turning on the heat with the flick of a button. Remote control start comes standard and is wall thermostat compatible. Light immediately, anytime! The flame height can be adjusted with just one click. Standard for LP fuel with propane assembly kit included. Advanced auto-light pilot for easy lighting. Now comes standard with safety screen for your child’s protection. Viva L Gas 120 adds extra vertical height, and stands 48″ off the ground.